Believe it or not, PartyLite has been around for over 40 years! If you’ve ever attended a PartyLite event, then you’ll know what the brand is all about. They’re a peer-to-peer company that specializes in home fragrance products, namely in the form of candles, although they have some additional intriguing products. I had the chance to peruse the latest and greatest from PartyLite, and to demonstrate how far this company has come (from a single woman making candles in her home in the early 1900s), I’m highlighting a few of my fave gift ideas from this wildly expansive brand. First up, a Valentine’s-day friendly pick. Everyone looks better by candlelight, and these dark and mysterious beauties are designed to enhance any romantic atmosphere. Packaged in a black, beribboned box, each candle has a lush, rich, ultra fruity fragrance – from Fig Fatale to Coconut Cream to Tangerine Tease. Even if you’re not going all out for Valentine’s this season, why not gift her a little something to set the mood? Yes PartyLite is known for their candles – but god knows you need somewhere to put said flames. PartyLite has a huge collection of candleholders in a range of styles, from wall-hanging sconces to magnificent hurricanes to elegant centerpieces. My eyes gravitated toward this beautiful lineup of hand-applied tiled pieces for an earthy, almost sea-inspired look. It’s available in the votive holder and centerpiece you see above, as well as two sizes of hurricanes. Makes a lovely housewarming or wedding gift! You really can’t ever have enough tea lights, I think. They burn relatively quickly – these ones last for about 4-6 hours – allowing you to scent your home for a scrumptious afternoon or scintillating dinner party. It also gives you the chance to try out a bunch of fragrances and never get bored. I love the uber cute candy shop vibe of these delicious-smelling tea lights – with nose-tingling notes of Marshmallow Peppermint, Pineapple Upside Down Cake, and Lemon Lime Macaroon. Consider this next time you’ve got a hostess gift need! I love when brands pair up to bring their aesthetics together – as per uber chic (and generally pricy) designer Jonathan Adler lending some 70s-inspired prowess to PartyLite’s home decor and candles. For a fraction of what you’d pay for the designer’s chi-chi pieces you can pick up one of the line’s candle holders, exclusive home fragrance options, or unique decor pieces – like an elephant-shaped tea light holder or a Safari-themed piece of wall art. Way too cool! I adore candles with a wooden wick. If you’ve never lit one before, you’re in for a treat – they crackle and pop the way a rustic bonfire would (of course, they won’t explode like a bonfire will). 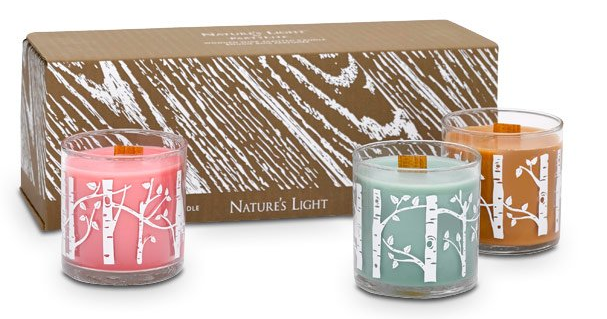 PartyLite has a special ‘Nature’s Light’ collection that includes wooden wicks and an earthy motif. With lovely scents like RoseWood, White Cedar Leaf and Tamboti Safari, this cute trio of jar candles makes a wonderful birthday choice for your mother-in-law or a friend. Looking for a festive candle alternative? PartyLite now carries a collection of ScentGlow™ Warmers. How do they work? All you do is plug the Warmer of your choice in, and the electric warmer breaks down the brand’s Scent Plus™ Melts, which are sold separately in literally dozens of aromas, like Vanilla Citron, Iced Snowberries, and Citrus Peel & Sage. The warmers themselves make cool housewarming gifts and come in tons of cool styles – from a pretty beaded or ceramic piece to cute animal shapes for the kids to a man cave-friendly sports styles like a baseball or soccer. This is, for the record, just one of several non-candle lines carried by PartyLite – be sure to check out other fragrant options like their diffusers and room sprays. Finally, I’m psyched to announce that one of you is going to have a mighty fine smelling home this winter. I’m giving away a prize package valued at over $115 from Carly’s PartyLite! 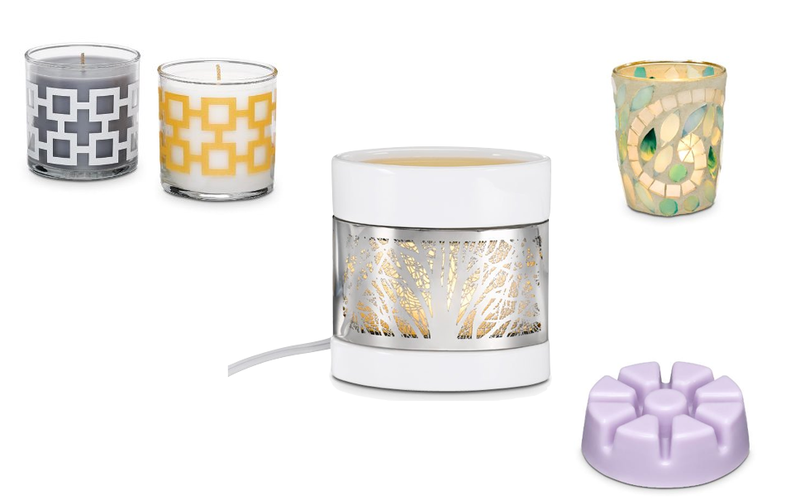 The lucky winner will nab a duo of Jonathan Adler Mini Jar Candles, a ScentGlow Warmer of your choice along with a set of Melts, and a Vine Mosaic Votive Holder. Interested in winning? Here’s how to enter! 1) First: you have to be a subscriber to the Canadian Gift Guide to enter this giveaway! Just find the ‘Gift of Gab’ box on the righthand side of this page and either hit Follow or enter your email address. Once you’ve done that (or if you already did it before), simply leave a comment on this post by January 27, 2015, featuring a link back to your favourite item on the Carly’s PartyLite site. 2) Entries are limited to one per person / per email address / per household (or more if you score bonus entries). A random draw will be conducted on or around January 28, 2015 to select the winner(s), who will have 48 hours to respond before another winner is chosen in their place. 4) Bonus Entry: Two ways to nab bonus entries. -You can like Carly’s PartyLite on Facebook and leave a comment on their wall, then link back to your wall post here. – You can sign up for PartyLite Preferred (it’s free!) for exclusive discounts and offers to keep your home smelling amazing all year long! Leave me a comment below telling me you’ve done so – and be honest. If your bonus entry is chosen as the winning one, your email address will be verified amongst those registered. http://www.partylite.biz/legacy/sites/carlysgifts/productcatalog?page=productdetail&sku=P91467S&categoryId=57592&showCrumbs=true This is too cute and would be perfect for Easter time. Love it! I have signed up for PartyLite Preferred. Love the scent glow warmers! 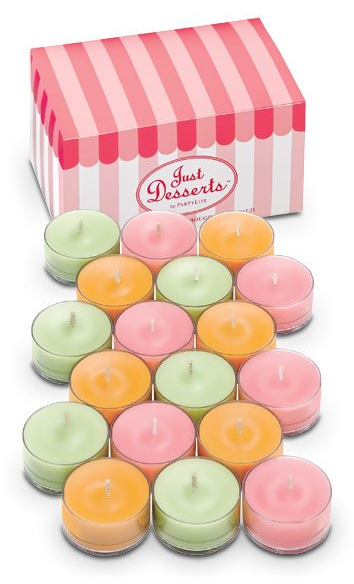 The Just Deserts candles sound lovely! I love the look of this scent glow warmer. I had no idea PartyLite was so updated! I love this confetti infuser. My fave is this one: DISCOVERY BY PARTYLITE JAPANESE YUZU SCENTED JAR CANDLE. I would love to have some ScentGlow Warmers for my home. Love, love, love the ScentGlow Warmers! It is just beautiful! I may have to start buying Party Lite again lol. I love the scent glow warmer. What a great gift idea!! These beautiful candles are always classic for your home and beautiful gifts for your lucky friends!! Long time favourites. 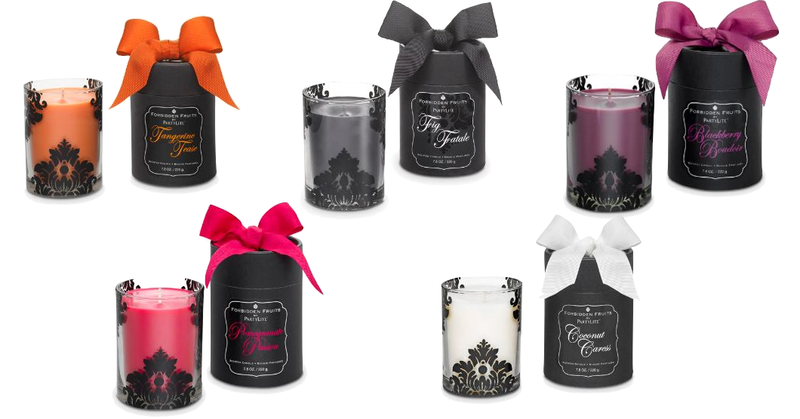 I love the Forbidden Fruits collection in the damask printed jars & that little squirrel candle holder is so cute! The Starburst wall sconce is my fav though! I love partylite! I want everything! The Jonathan Adler Squirrel candle holder is by far my favourite! What a gorgeous addition to my bedroom décor! Re: OMG,my fave: . http://www.partylite.biz/legacy/sites/carlysgifts/productcatalog?page=productdetail&sku=P91852&categoryId=57592&showCrumbs=true Wow, prize liteis fab. & splendid. 2 fingers snap. It is tight, fly & off the chain. Thank you for the awesomeness, the contest, and generosity. Pick me, pick me! Love these candles!! Perfect to give as gifts at personal showers for some upcoming weddings in the spring! Not to mention getting some for my own home! The candles themselves look gorgeous too. I love the oversized lanterns. Beautiful decorating ideas! I love the ScentGlow warmers and the melts. A fantastic idea and such yummy sounding scents! http://www.partylite.biz/legacy/sites/carlysgifts/productcatalog?page=productdetail&sku=P95604&categoryId=57584&showCrumbs=true — I love candles that make me hungry by smelling them! lol. 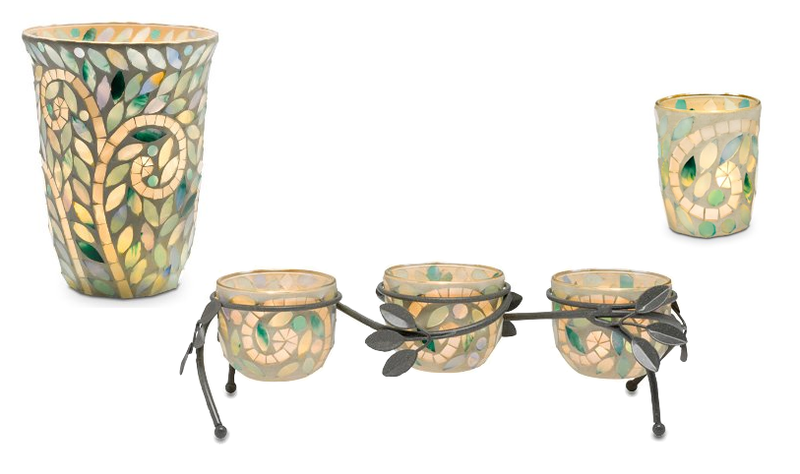 LOVE the Vine Mosaic Collection from Carly Zeeman’s pick page! Love the Vine Mosaic Hurricane and Universal Tealight Tree – Silver-tone! I think the Vienna Hurricane candle holders are super pretty. I’ve signed up for the Partylite website/account. I subscribe to Canadian Gift Guide. I like PartyLite Independent Consultant – Carlys Gifts on facebook. I love the gold Essie….it is just that little touch of something special.